The immediate culprits in many workplace discrimination and harassment cases are individual managers or co-workers, but in many situations the worst villain is the employer that fails to stop the abuse or engages in its own unfair practices. The Corporate Research Project of Good Jobs First has just published a report called Big Business Bias showing for the first time which large corporations have paid the most to plaintiffs in discrimination or harassment cases based on race, gender, religion, national origin, age or disability. As in many other things, the big banks turn out to be leading offenders. Bank of America (including its subsidiary Merrill Lynch) has paid a total of $210 million since 2000, more than any other large company. Morgan Stanley ranks fourth at $150 million and Wells Fargo ranks ninth at $68 million. The financial services industry overall has paid a total of $530 million in penalties. The retail sector has paid the same amount, so the two industries have the dubious distinction of being tied for first place. The report, based on data collected for an expansion of the Violation Tracker database, covers private lawsuits (both class action and individual) brought in federal or state court as well as cases brought with the involvement of the Equal Employment Opportunity Commission (EEOC) and the U.S. Labor Department’s Office of Federal Contract Compliance Programs (OFCCP). It focuses on cases brought against corporations (and their subsidiaries) included in the Fortune 1000, the Fortune Global 500 and Forbes’ list of America’s Largest Private Companies. We found that virtually every large company has paid damages or reached an out-of-court settlement in at least one discrimination or harassment lawsuit, but in the vast majority of cases the terms of the settlements were kept confidential. Our report is based on the subset of those cases with disclosed settlements as well as those with public court verdicts and EEOC or OFCCP penalties. The report finds that since the beginning of 2000, large corporations are known to have paid $2.7 billion in penalties, including $2 billion in 234 private lawsuits, $588 million in 329 EEOC actions and $81 million in 117 OFCCP cases. Following Bank of America in the ranking of most-penalized large companies are Coca-Cola ($200 million) and Novartis ($183 million). The corporation with the largest number of cases with disclosed penalties is Walmart, at 27. Its penalty total of $52 million would have been much higher if the U.S. Supreme Court had not ruled 5-4 in 2011 to dismiss a nationwide gender discrimination class action against the company. Following banks and retailers, the industries with the most disclosed penalties are food/beverage products ($252 million), pharmaceuticals ($209 million) and freight/logistics ($187 million). Race and gender cases (mainly relating to hiring, promotion and pay) account for the largest shares of discrimination penalties, with each category totaling just over $1 billion. Age discrimination cases rank third with over $240 million in penalties, followed by disability cases at $155 million and sexual harassment cases at $123 million. Employees at all levels of the occupational hierarchy have filed discrimination lawsuits against large corporations. The report documents lawsuits whose plaintiffs range from executives, managers and professionals to blue-collar and service workers. However, it finds that managers are more likely to bring age discrimination cases while racial bias and sexual harassment suits more often are filed by blue-collar and service workers. In addition to supporting the call by the #MeToo movement to end non-disclosure agreements and mandatory arbitration, the report endorses reforms that would require publicly-traded companies and large federal contractors to disclose how much they pay out each year in aggregate damages and settlements in discrimination and harassment cases. Note: details on all the cases analyzed in the report can be found in Violation Tracker. Sale of Toxic Securities: In cases left over from the financial crisis of the 2000s, three major banks agreed to pay ten-figure settlements to the Justice Department to resolve allegations of misleading investors in residential mortgage-backed securities: $2 billion by Barclays, $2.1 billion by Wells Fargo and $4.9 billion by The Royal Bank of Scotland. Interest Rate Benchmark Manipulation: The French bank Societe Generale agreed to pay $475 million to settle allegations by the Commodity Futures Trading Commission that it manipulated or attempted to manipulate LIBOR and other interest rate benchmarks. Foreign Exchange Market Manipulation: The French bank BNP Paribas pleaded guilty to participating in a price-fixing scheme in the foreign exchange market and paid the U.S. Justice Department a criminal fine of $90 million. Anti-Money Laundering Deficiencies: U.S. Bancorp agreed to a $453 million civil forfeiture to resolve a case brought by the U.S. Attorney for the Southern District of New York alleging that it violated the Bank Secrecy Act by failing to file required suspicious activity reports. Foreign Corrupt Practices Act: The Securities and Exchange Commission required Panasonic Corporation to pay $143 million to resolve allegations of making improper payments and committing accounting fraud in connection with its global avionics business. It paid an additional $137.4 million to settle related criminal charges brought by the Justice Department. Consumer Financial Protection Violation: Wells Fargo agreed to pay a total of $1 billion to the Consumer Financial Protection Bureau and the Office of the Comptroller of the Currency in connection with abuses relating to a mandatory insurance program tied to auto loans, mortgage interest-rate-lock extensions and other practices. Product Safety Violation: Polaris Industries agreed to pay a $27.25 million civil penalty to settle Consumer Product Safety Commission allegations that it failed to immediately report to the agency that some of its recreational off-road vehicles contained defects that could create a substantial product hazard or that they created an unreasonable risk of serious injury or death. 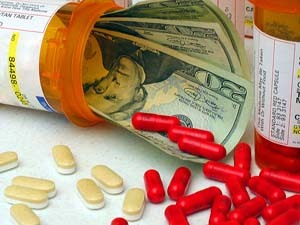 Controlled Substances Act Violations: Rite Aid agreed to pay $4 million and CVS agreed to pay a total of $2.5 million in two cases, all to resolve allegations of improper distribution of controlled substances. Sexual Harassment: Poultry processor Koch Foods agreed to pay $3.75 million to settle allegations made by the Equal Employment Opportunity Commission involving sexual harassment, national origin and race discrimination and retaliation at a plant in Mississippi. Clean Air Act Violations: The Justice Department, the Environmental Protection Agency and the Louisiana Department of Environmental Quality announced that Shell Chemical would pay penalties of $350,000 and spend $10 million to install pollution control equipment to reduce harmful emissions at its plant in Norco, Louisiana. False Claims Act Violations: Toyobo Co. of Japan and its American subsidiary agreed to pay $66 million to resolve claims under the False Claims Act that they sold defective Zylon fiber used in bulletproof vests that the United States purchased for federal, state, local, and tribal law enforcement agencies. Investor Protection Violations: AEGON USA Investment Management and three other Transamerica affiliates agreed to pay $97 million to the Securities and Exchange Commission to resolve allegations that they misled investors through the use of faulty financial models. Hiring of Undocumented Workers: Waste Management Texas agreed to forfeit $5.5 million and entered into a non-prosecution agreement with the U.S. Attorney’s Office for the Southern District of Texas to resolve allegations that it hired numerous undocumented workers at its Houston operation. Tax Evasion: The Swiss bank Zurcher Kantonalbank agreed to pay $98.5 million and entered into a deferred prosecution agreement to resolve charges that it conspired to help U.S. taxpayer-clients file false federal tax returns and hide hundreds of millions of dollars in offshore bank accounts. Data Breach: Uber agreed to pay $148 million to settle allegations that emerged from a nationwide investigation of a 2016 incident in which a hacker gained access to personal information on 57 million riders and drivers. Note: Additional details on most of these cases can be found in Violation Tracker, which now contains 327,000 entries with total penalties of $440 billion, or in the next update of the database, scheduled to appear in mid-January. According to the grievance-based worldview of Donald Trump, the United States is constantly being cheated. He purports to be addressing this through his trade policies and his attitudes toward international organizations such as NATO. Yet he seems to be a lot less concerned about another kind of cheating: the ongoing fraud committed against the federal government by military contractors. This is an old story yet it takes on new relevance amid the current controversies over the murder of U.S.-based journalist Jamal Khashoggi by the Saudi government and ongoing American support for the brutal Saudi military intervention in Yemen. Trump’s main justification for refusing to take stronger action against the kingdom is his claim that it would jeopardize potential U.S. arms sales to the Saudis, the value of which Trump wildly inflates. Trump usually frames this in terms of jobs, but it is actually more a matter of revenue and profits for major weapons producers such as Lockheed Martin and Raytheon. It comes down to this: Trump is undermining the moral stature of the United States and giving a green light to despots who want to eradicate dissidents, all in the name of pumping up the cash flow of a handful of corporations. Although he fancies himself a master dealmaker, it is unclear what Trump is receiving in return from these companies. In the past, Trump has made noise about the cost of some Lockheed and Boeing contracts but there was little follow-up. The big weapons producers are not now among the president’s favorite tweet targets. There is every reason to believe that the big contractors are continuing their long-standing practices of charging excessive amounts for their weapons and then cheating on the terms of the contracts. Sometimes they get caught doing the latter and are made to pay penalties they can easily afford. To take a recent example: in early November the Justice Department announced that Northrop Grumman had agreed to pay $27.45 million to resolve allegations that it overstated the number of hours its employees had worked on two battlefield communications contracts with the Air Force. This matter, like most of the cases brought against military contractors, was handled primarily under the False Claims Act, which allows for a civil settlement and monetary penalties but no criminal liability. The Northrop case was unusual in that there was a parallel criminal investigation of one of the contracts, but the Justice Department reached an agreement with the company under which it forfeited an additional $4.2 million and no criminal charges were filed. This was just the latest in a series of False Claims Act cases in which Northrop has paid out in excess of half a billion dollars in penalties for various contract frauds. It is far from unique in this regard. For example, as shown in Violation Tracker, Boeing has paid out $744 million in penalties in eight False Claims Act cases since 2000 and Lockheed has paid $125 million in 13 cases. It is bad enough that President Trump is abandoning U.S. support for human rights; it is even worse that he is doing so to benefit a group of corporations that regularly cheat the government he heads. Is There Still A Corporate Ulterior Motive Behind Criminal Justice Reform? Is it just a coincidence that Donald Trump has decided to embrace criminal justice reform just at the time he is more likely to become a defendant himself? He’s not the only party that may have mixed motives in supporting the legislation that is being hyped as an outstanding expression of bipartisanship. One of the prime movers behind the initiative has been Koch Industries, whose owners Charles and David Koch are the epitome of partisanship. Their role on this issue was initially puzzling, given that the Kochs were not known for supporting anything that was remotely progressive. Three years ago, the full story began to emerge. The New York Times reported that one part of the reform being pushed by the Kochs and other business interests would require prosecutors to meet a more stringent standard in proving illicit intent, or “mens rea.” The Times stated that the Obama Justice Department was concerned that the change “would make it significantly harder to prosecute corporate polluters, producers of tainted food and other white-collar criminals.” PR Watch provided more detail on what the Kochs were up to. In other words, what was made to look like a high-minded civic effort was also, at least in part, a move by corporations to shield themselves from prosecution. In the case of Koch Industries, the issue is far from a theoretical one. In Violation Tracker we document 275 cases in which the company has paid a total of $736 million for environmental, safety, employment and other offenses. One of these was a criminal case: In 2001 one of its subsidiaries pled guilty and paid $20 million to resolve allegations that it covered up Clean Air Act violations at an oil refinery in Corpus Christi, Texas. Mens rea “reform” is not part of the current criminal justice package, but the issue is far from dead. Arkansas Sen. Tom Cotton just published an op-ed in USA Today calling for it to be added to the bill. Since Cotton’s support may be essential to passage, he may get his wish – and presumably the Kochs would be happy with that outcome. During the confirmation hearings on Brett Kavanaugh, Sen. Hatch brought up the issue of mens rea. He and the nominee both spoke enthusiastically on the need for “reform.” Here, as in much of the conservative discussion of the matter, proponents like to give the impression their concern is primarily with the rights of bank robbers and the like. Yet it seems clear that the real intended beneficiaries are corporations and their executives supposedly being victimized by unjust regulations. The issues surrounding criminal justice reform are complicated, but one thing is clear: it should not be used as a means of undermining the prosecution of corporate crime and misconduct. Posted in Corporate Crime, Regulation, Violation Tracker | Comments Off on Is There Still A Corporate Ulterior Motive Behind Criminal Justice Reform? The slow but steady weakening of bank regulation is continuing. Responding to legislation passed by Congress earlier this year, the Federal Reserve just voted to propose new rules for a group of banks that are large but not gigantic. Congress had called for a review of banks with assets between $100 billion and $250 billion but the Fed proposals would affect some larger ones as well. In all, 16 banks would enjoy loosened restraints. Much of the commentary on banks focuses on mega-institutions such as Bank of America, JPMorgan Chase, Citigroup and Wells Fargo. These corporations have certainly done the most harm to the economy and whose demise would have the most dire consequences. Yet the next tier of banks have their own track record of misconduct that argues against relaxed oversight. Some of these offenses relate directly to financial risk while others do not, but they all point to the need for more regulation rather than less. Here are examples taken from Violation Tracker. U.S. Bancorp (total penalties in Violation Tracker: $1.2 billion): paid $453 million this year to settle Justice Department allegations that it had insufficient protections against money laundering and failed to file suspicious activity reports. PNC Financial (total penalties: $472 million): in 2003 one of its subsidiaries paid $115 million to settle criminal charges of conspiring to violate securities laws (the deal included a deferred prosecution agreement). Capital One (total penalties: $228 million): in 2012 one of its subsidiaries paid $165 million to settle Consumer Financial Protection Bureau (CFPB) allegations that it deployed deceptive marketing tactics in its credit card business. Charles Schwab (total penalties: $125 million): in 2011 it paid $118 million to settle SEC allegations that it made misleading statements to clients about one of its funds. BB&T (total penalties: $93 million): in 2016 it paid $83 million to settle Justice Department allegations it knowingly originated mortgage loans insured by the Federal Housing Administration that did not meet applicable requirements. SunTrust (total penalties: $1.5 billion): in 2014 it settled a case brought by the CFPB, the Department of Justice, the Department of Housing and Urban Development, and attorneys general in 49 states and the District of Columbia alleging that it engaged in systemic mortgage servicing misconduct, including robo-signing and illegal foreclosure practices. The settlement required SunTrust to provide $500 million in loss-mitigation relief to underwater borrowers and pay $40 million to approximately 48,000 consumers who lost their homes to foreclosure. American Express (total penalties: $350 million): in 2017 it paid $96 million to settle CFPB allegations of having discriminated against customers in Puerto Rico and other U.S. territories by charging higher credit card rates than in the 50 states. Ally Financial (total penalties: $668 million): in 2012 it paid $207 million to settle Federal Reserve allegations of mortgage servicing violations. The list goes on for the remainder of the 16 banks: Citizens Financial (total penalties: $137 million), Fifth Third Bancorp ($121 million), KeyCorp ($19 million), Regions Financial ($170 million), M&T Bank ($119 million), Huntington Bancshares ($14 million) and Discover Financial Services ($232 million). It’s interesting that the only institution on the list with a small penalty total ($203,000) is Northern Trust, which caters to corporations and wealthy individuals rather than the general public. If all the banks similar records, then perhaps some measure of deregulation might be warranted. Yet as long as the large banks are as ethically challenged as the giant ones, they should continue to face strict oversight. People who are subjected to sexual harassment on the job are too often left to confront their abusers on their own. Those with means can hire high-powered legal help, as Gretchen Carlson did in her lawsuit against 21st Century Fox that resulted in a $20 million settlement. Other survivors of abuse may not get justice. A new initiative by Fight for $15 is making the fight against workplace harassment a collective rather than an individual struggle. 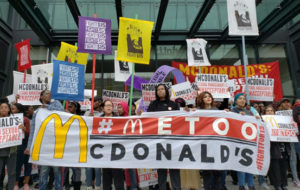 In a bold new initiative for the labor movement, the campaign recently organized work stoppages at McDonald’s fast-food outlets in ten cities to protest harassment and to highlight complaints filed earlier this year with the U.S. Equal Employment Opportunity Commission. 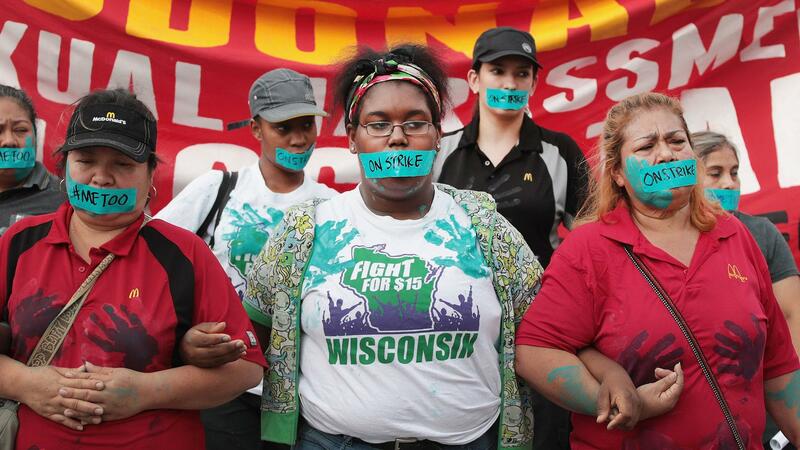 This will not be the first time the EEOC has heard reports about such practices at McDonald’s. In 2010, for example, the company had to pay $50,000 to settle allegations of harassment by an assistant store manager in New Jersey who was reported to have touched and spanked a teenage worker. For years, the company failed to take adequate action to deal with repeated instances in which female workers were falsely accused of stealing customer property and strip-searched by managers in response to phone calls from individuals pretending to be law enforcement officers. In 2007 McDonald’s had to pay $6.1 million to settle a lawsuit filed by a young worker in Kentucky who was also molested. Corporate decisions not to take steps to protect workers were also behind many of the more than 275 cases documented in Violation Tracker in which corporations paid to settle sexual harassment allegations brought with the involvement of the EEOC. These cases together have yielded $132 million in penalties. The tally goes back to 2000, but cases continue to the present. Among the most recent ones are the $3.75 million harassment settlement signed by Koch Foods involving poultry workers in Mississippi who also alleged racial and national origin discrimination as well as the $3.5 million settlement by outsourcing company Alorica in connection with allegations that a group of customer service representatives in California were subjected to a sexually hostile work environment. To supplement the EEOC actions I’m in the process of collecting data for Violation Tracker on class action and individual lawsuits brought by workers separate from the agency. These will cover harassment claims as well as cases involving discrimination by employers based on gender, race, national origin, religion, sexual orientation, disability and age discrimination. I’ve already tallied more than $1 billion in settlements and verdicts involving the largest corporations. It’s great that the MeToo and the Fight for $15 movements are highlighting the continuing problems of harassment on the job. I look forward to the day when there will not be so many such cases to document. Note: The latest update to Violation Tracker has just been posted.